Before I examine the casting closely, I cleaned up everything. The sandpit got scooped up with a flowerpot, back into its bag. 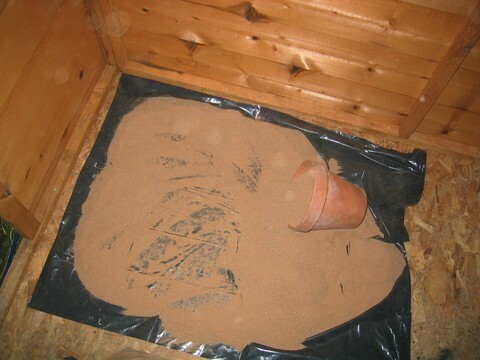 The moulding sand went into a plastic bucket, covered over to stop it drying out. The remaining charcoal was tipped out of the furnace into an old flowerpot, so that I could put the furnace in the shed to cool (without the risk of CO and CO2 build-up from the burning charcoal).